The forces of anti-immigration politics are upending liberal governments all over Europe — with voters in 21 of 28 EU countries citing immigration as the top issue facing the continent, according to a recent Eurobarometer survey. The big picture: That's a disconnect with the reality — migrant arrivals in those countries have dropped significantly. But the political turmoil is spreading, to the point where there's even a far-right, anti-immigrant party on the rise in Sweden, one of the world’s most progressive countries. That's a sign that the immigration backlash is putting pressure on governments around the world, not just in the United States. What we're watching: Sweden's election on Sept. 9 will be the next sign of how far the political turmoil has spread. The far-right, anti-immigrant Sweden Democrats have surged in the polls, and the center-left Social Democrats are in danger of their first defeat in decades. The current climate is so hostile toward immigration that all three leading parties have proposed additional controls. The popularity of the anti-immigration Sweden Democrats, who are polling at their highest level ever, is a symptom of the country’s struggles to integrate the 165,000 asylum-seekers it welcomed during the 2015 European migrant crisis. But it’s not just them. Sweden’s two other leading political parties are also proposing changes to the country's "open hearts" immigration policy. All over Europe, mainstream parties are toughening their immigration policies in hopes of survival. 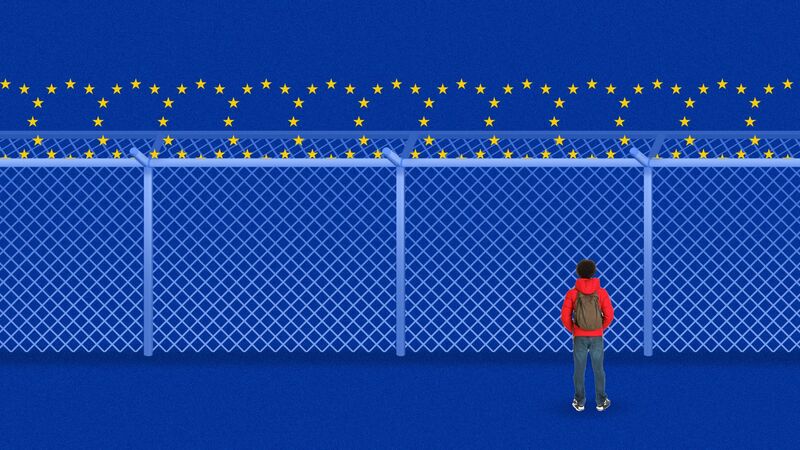 The backstory: More than 1 million migrants entered Europe during the 2015 migrant crisis, deepening the anti-immigrant sentiment that has fueled a resurgence of the far-right, and sweeping parties with hardline immigration platforms into power. Where it stands: There are plenty of other signs that anti-immigration politics are thriving in Europe. In Hungary, Prime Minister Viktor Orban's Fidesz party — which decries multiculturalism and has jailed human rights lawyers who assist asylum-seekers — won a landslide election in April. In Italy, the anti-establishment 5 Star Movement and far-right League joined forces in June to form a populist coalition government. One of their first moves in office was to prevent a ship carrying 629 migrants from docking on Italy's shores. Leaders have also ridden immigration rhetoric to electoral success in Austria, Poland, the Czech Republic and Slovenia. But it is in countries like Germany, France and the U.K. where pressure on center-right and center-left governments to adopt anti-immigrant measures is playing the biggest role in tilting Europe's political scales, writes the Brookings Institution's William A. Galston. In the U.K., 88% of people who said immigration was the Brexit referendum's most important issue voted to Leave, according to the British Election Study. "If economic arguments had determined the outcome of the Brexit vote, Britain would have remained in the EU," Galston writes. German Chancellor Angela Merkel's coalition government was on the brink of collapse in June amid an inter-cabinet dispute over migration. She survived, but has backtracked from her controversial open door policy on migration. That policy powered the rise of the far-right Alternative for Germany as a potent political threat. Emmanuel Macron staved off populist Marine Le Pen in the French election last year, but anti-immigrant sentiment nonetheless catapulted her far-right party to its best election performance ever and forced Macron to take a tougher stance on asylum-seekers. France's nationwide burka ban, meanwhile, is part of an effort to quell the fears of French citizens through legally-mandated assimilation, a trend that is taking hold all over Europe. The bottom line: Europe is struggling to determine how to share the refugee burden while placating the concerns of its own people.